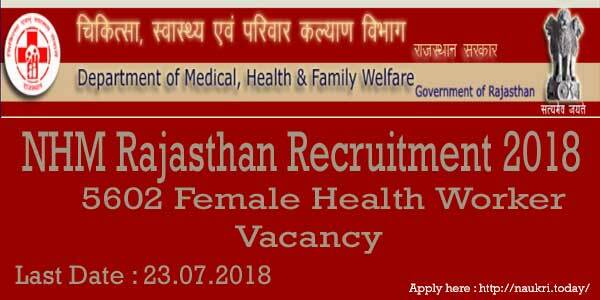 Rajswasthya Rajasthan Recruitment 2018 for 5602 Female Health Worker Post : Department of Medical, Health & Family Welfare, Rajasthan has released notification for employment of 5602 Female Health Worker Vacancy. Applicants who want to fill NHM Rajasthan Recruitment 2018 Online Form can apply either here or official site. The online registration of Rajasthan NRHM Jobs is starting on 22.06.2018. Candidates can apply online till the last date 23.07.2018. Furthermore, information like eligibility criteria, application fees, selection Procedure and how to apply is mentioned on below section. Important Dates of NHM Rajasthan Jobs 2018 – What is Last Date of Apply Online For Rajswasthya Recruitment? Interested applicants who are going to fill online application form must fulfill eligibility conditions also. NHM Rajasthan Jobs contain details of education qualification, age limit and experience in eligibility criteria. If you are going to fill NHM Rajasthan Female Health Worker Recruitment then you must eligible for given vacancy. Candidates should complete 10th Standard with Auxiliary Nursing Midwifery Training/Health Worker Female course passed. All course registered with Rajasthan Nursing Council as B Grade Nurse. For NHM Rajasthan Recruitment 2018 female candidates not registered in Rajasthan Nursing Council, they not be eligible for given vacancy. According to their experience, they will get bonus marks in the merit list. For more information check below NHM Rajasthan Job Notification 2018. The age criteria is made as on 01.01.2019. For NHM Rajasthan Female Health Worker Recruitment minimum age required 18 years. Applicants should not be more than 45 years. Age relaxation is applicable as per govt. norms. Check below section. Applicants those are belonging to General/OBC(Non-creamy layer)and Other State category have to pay Rs. 500/-. OBC (Creamy Layer)/MBC/SC/ST/Sahriya candidates need to pay Rs. 300/- towards NHM Rajasthan Jobs application fees. Widow/Divorcee Female candidates require to pay Rs. 250/-. All applicants of any category are also pay Rs. 50/- towards E-mitra charges. For more details check NHM Rajasthan Health Worker Recruitment Notification 2018. If you are selected for महिला स्वास्थ्य अधिकारी, you will receive an attractive salary. Candidates will receive their salary for NHM Rajasthan Recruitment as per pay matrix level –8. And the monthly salary will be Rs. 18500/- in probation period (02 years). Applicants selection will be made according to their qualification marks, experience and document verification. According to applicants marks they will call for document verification. For more detail check NHM Rajasthan Vacancy Notification 2018. Interested and eligible candidates may apply for Rajswasthya Female Health Worker Jobs through online mode only. Before going to apply online you must have required documents like scan photograph & signature. First of all, go to official site rajswasthya.nic.in. Download NHM Rajasthan Job Notification for Female Health Worker Vacancy. You can fill your online form of NHM Rajasthan Recruitment through E-Mitra or Kiosk Center. Register your personal and education information on your Rajswasthya Vacancy 2018. Now take print out of Rajswasthya NHM Rajasthan Female Health Worker Recruitment Application Form. Conclusion : Rajswasthya NHM Rajasthan Recruitment 2018 for filling up 5602 Female Health Worker Vacancy. Candidates can apply through online mode for NRHM Rajasthan Female Health Worker Vacancy from 22.06.2018. The last date of online registration is 23.07.2018. Dear Applicants, Are you waiting for NHM Rajasthan Recruitment 2018? If yes, your wait is over. National Health Mission Rajasthan has announced 1257 Vacancies in TSP and Non-TSP area. NRHM Rajasthan will provide 1257 Assistant Radiographer Jobs. Participants who are interested in NHM Rajasthan Vacancy 2018 may apply from 25.05.2018. Online registration should be done up to 28.06.2018. 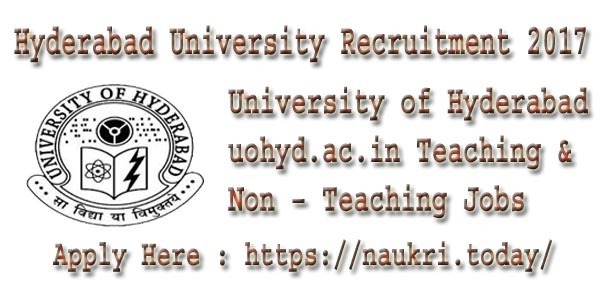 Before applying candidates should check here more details about Raj NRHM Vacancy 2018. Aspirants may also download Raj NRHM Notification 2018 from links given below. Here we present you category wise division of 1257 Assistant Radiographer Vacancies in TSP and Non TSP Areas for NHM Rajasthan Assistant Radiographer Recruitment 2018. These tables show you NRHM Rajasthan Vacancy 2018 details in two part : TSP Area and Non TSP Area . For more information candidates can read official NHM Rajasthan Notification 2018 from links given below. Candidate should be completed Senior Secondary with Science with one of them as the main subject – Biology and Maths. Participants may also do Radiographer course from any recognized institution of State/Central Government. for further more details applicants should check official NRHM Rajasthan Notification 2018. Participants may download NHM Rajasthan Recruitment notification from links given below. Minimum age is 18 years and maximum age is 40 years as on 01.01.2018 for NHM Rajasthan Vacancy 2018. Candidates may also check selection Process before start preparing for NRHM Rajasthan 2018. Aspirants may download Rajswsthya Recruitment 2018 notification either from here or from links given below. Rajswsthya should pay a good amount of salary to the selected candidates. Selected candidates salary is Rs.18500 /- for NHM Rajasthan Recruitment 2018. Candidates must fill up their application form from links given below. Participants should be selected on the basis of qualification and interview for NHM Rajasthan Assistant Radiographer Bharti 2018. Aspirants may check official website of rajswsthya.nic.in for more information related to NRHM Rajasthan Bharti 2018. Applicants need to pay some amount as an application fee for NRHM Rajasthan Jobs 2018. Here we available you category wise application fee for NRHM Rajasthan Recruitment 2018 given below. 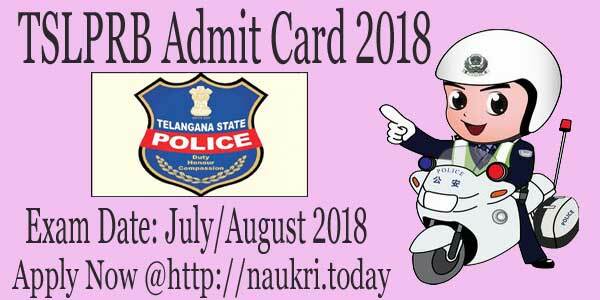 Aspirants may apply online from 25.05.2018 up to 28.06.2018. Participants must check details given here about NHM Rajasthan Recruitment 2018. Applicants can pay their application fee through online modes such as Debit Card, Credit Card and Internet Banking. Candidates should follow these steps to download Rajswsthya Bharti 2018. Then click on the NHM Rajasthan Bharti Advertisement. Then read all required information carefully from NRHM Rajasthan Notification carefully. Fill up complete details in Raj NRHM Online Application Form. Then candidates must upload photographs, signature and required documents in NHM Rajasthan Online Forms. Then you recheck your filled information in Raj NRHM Vacancy form. National Rural Health Mission Rajasthan has published employment notification for filling up 1534 Lab Assistant Vacancy. NHM Rajasthan Recruitment Notification is raised for filling up vacancies in TSP and Non-TSP Area. Interested and eligible candidates may apply for NRHM Rajasthan Jobs through online mode. The starting date of filling up online form is 01.06.2018. Candidates can fill NHM Rajasthan Lab Assistant Vacancy till last date 30.06.2018. Furthermore information like eligibility criteria, application fees, selection criteria and others are mention below. Interested candidates who want to apply for NHM Rajasthan Recruitment 2018 must fulfill eligibility criteria. It includes details of education qualification, age limit and other. So applicants who want to apply for NRHM Rajasthan Lab Assistant Vacancy must ensure that they are eligible or not. Eligibility criteria is mention as under. Applicants who are going to fill NRHM Rajasthan Recruitment application form must completed Senior Secondary examination with Science subject. Candidates also have Diploma in Medical Laboratory Technology from any institute recognized by State Government. Participants who have qualified Secondary can also apply for NHM Rajasthan Vacancy 2018. But they have Medical Laboratory Assistant Diploma. Or having 03 years experience in Laboratory Assistant/ Technician. Furthermore details check Rajswasthya Jobs official notification. For Rajswasthya Recruitment 2018 applicants should not be less than 18 years. If you want to apply for प्रयोगशाला सहायक Vacancy, you must not achieved 40 years. The age criteria for NHM Rajasthan Lab Assistant Recruitment is made as on 01.01.2019. Upper age relaxation is applicable as per govt. norms. According to candidates education qualification and experience the merit list is prepared by the department. Candidates selection for NHM Rajasthan Lab Assistant Job is made on the basis of qualification and experience. For more details check NHM Rajasthan Jobs notification. If applicants are selected for NHM Rajasthan Recruitment of Lab Assistant posts they will get an attractive salary. Selected participants salary will be made as per pay matrix level 5 and they will receive Rs. 14600/-. For NHM Rajasthan Lab Assistant Jobs applicants pay fees through e-mitra/ kiosk center. They also borne e-mitra charges. Candidates who wish to apply for Rajswasthya Vacancy 2018 must fill online application form. You can fill online form via e-mitra & kiosk center. Before going to Apply for NHM Rajasthan Lab Assistant Vacancy, you must have valid email address & password. Details of online application is mention on below. First of all visit to official site rajswasthya.nic.in. Download Notification of Direct Recruitment for NRHM Lab Assistant Recruitment. Read NHM Rajasthan Job notification carefully. Then Go to any e-mitra & Kiosk Center with your email id, Scan copy of Photo & signature. Fill online application with all required details like personal & educational. Upload signature and photograph in your NHM Rajasthan Recruitment Online Form. Now submit your NRHM Rajasthan Vacancy Form. Conclusion : NHM Rajasthan Recruitment 2018 for 1534 Lab Assistant Vacancy. Interested and eligible candidates can fill online application form from 01.06.2018. The last date of Rajswasthya NRHM Rajasthan Vacancy is 30.06.2018. Full information read full article carefully. Participants may apply for 6557 vacancies of Staff Nurse before last date 03.07.2018. Rajswasthya NRHM Vacancy 2018 is divided on the basis of TSP and Non-TSP area. Applicants should be prepared themselves for a Written exam. Candidates may also consult official notification of NHM Rajasthan Recruitment 2018. Here we provided you brief detail about Rajswasthya Jobs 2018 selection process and eligibility criteria. Candidates should download NHM Rajasthan Staff Nurse Jobs 2018 either from links given below or from the official website. Latest Update as on 05.06.2018 : National Health Mission, Rajasthan 4514 vacanct vacancy Online application form available from 02.05.2018 to 02.06.2018. But due to some reason now the date extended. Now applicants can apply for NHM Rajasthan Bharti Staff Nurse application form 16.05.2018 to 16.06.2018. The online link is available at the end of article. Now the department also released notification for Staff Nurse II P 6557 Posts. You can apply through given below direct link. Candidates must check here eligibility criteria for NHM Rajasthan Staff Nurse Vacancy 2018. Participants who do not found eligible for Rajswasthya Jobs 2018 their forms will be rejected. Here we provided you links to download NHM Rajasthan Recruitment 2018 given below. Applicants who applied for NHM Rajasthan Bharti 2018 must pass Senior Secondary or its equivalent course. Candidates may also have GNM Course Certificate for Rajswasthya NRHM Recruitment 2018. For Further more details applicants should read NHM Rajasthan Jobs 2018 Notification carefully. Applicants must download Rajswasthya Vacancy 2018 Advt. either from links or from the official website. Age criteria is made on the basis of 01.01.2019. Minimum age limit for an Unreserved or general category is 18 years and not more than 40 years of age. 5 years of Upper age relaxation is given to SC/ ST/ Female(UR)/ Tribal Candidates . 3 years of Upper age relaxation is given to Candidates of OBC Caste. 10 years of upper age relaxation is provided to Female Candidates of SC/ ST/ OBC/ EBC/ Tribal. For further more details applicants should consult official notification of NHM Rajasthan Recruitment 2018. Candidates should be paid according to Pay Matrix Level 11 Rs. 26500 /-. Here we available links which help you to download Rajswasthya Staff Nurse Vacancy 2018 Notification. Applicants may also check Selection process for NHM Rajasthan Recruitment 2018. For the selection process, details candidates should consult official notification of Rajswasthya Jobs 2018. Applicants should check here easy steps to download NHM Rajasthan Staff Nurse Bharti 2018. Participants who belong to General and OBC Category need to pay Rs. 500 /- as an Application Fee. Schedule Caste / Schedule Tribe / Ex-Service participants need to pay only Rs.300 /- for Application Fee. Widow/ Devoiced need to pay Rs. 250 for an application fee. For further details, applicants may also consult to official notification of Rajswasthya NHRM Staff Nurse Recruitment 2018. Participants should follow these steps to download Rajswasthya NHRM Notification 2018. Candidates should fill up their application form before the last date. Participants must read this article carefully before applying for NHM Rajasthan Recruitment 2018. Applicants should log on to the official website i.e. rajswsthya.nic.in. Candidates should check notification at Homepage. Click on Advt. Links are shown at Homepage. Eligible Candidate should fill up their application. Note down password and registration for feature use.